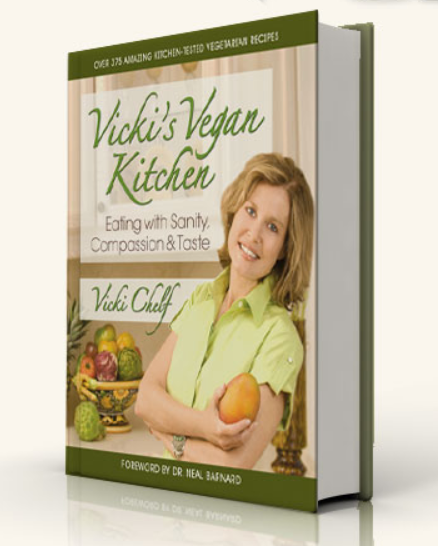 I downloaded Vicki's Vegan Kitchen cookbook. I printed out the recipe for Cinnamon-Flax Topping, from the "Eat Your Breakfast" section. While the nutritional figures were presented in the printed recipe, the recipe didn't specify a serving size. So I don't know how much of the topping to use, for a single serving. So my question is: What would the Serving Size be, to achieve the software's nutritional assessment when used? On the Cinnamon-Flax Topping, I analyzed the recipe separately from the bulk nutrition data given in the software. It looks like the serving size there would be 10 tablespoons or 2/3 cup on your cereal. That is like having topping for breakfast instead of oatmeal! A more reasonable serving size would be 1 tablespoon. This would provide 40 calories and 3 grams of fat. If it is delicious, you could bump it up to 2-3 tablespoons without stressing over the fat and calorie load of a 2/3 cup serving size.